The biggest mistake that people make is focusing exclusively on where they want to be instead of preparing for where they want to be. Someone may want to publish a book or have a successful blog but they aren’t prepared to receive it. 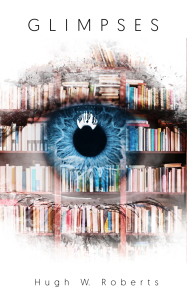 What will happen if the book does blow up like you want it to, are you prepared? What if one of your blog posts does go “viral”, are you prepared? It’s not just about the end goal, it is also about the journey. I want to encourage you today to prepare for where you want to be. I wanted to provide blog and writing tips but I’ve decided to split this into multiple posts so it’s not too long because I know you got places to be. Today’s post is on mental preparation. Don’t let others deceive you and don’t deceive yourself. You’re always going to be nervous before embarking on something that is truly life changing. You’re always going to have that fear or that doubt in the beginning and truth be told the only way to overcome that doubt is to do the very thing you’re absolutely nervous about doing. I always say that if you ever get too comfortable that’s when your humility is not as strong as it needs to be because you should always be just a little bit nervous before embarking on something great. Why is that? Because that uncomfortable nervous feeling is where the growth happens. No one ever did anything in the comfort zone. Discouragement doesn’t just come organically but we also invite it. Not everyone deserves to know what you plan to do and how you plan to do it, especially people who don’t deserve to know. Spell casting is real and all it takes is the word. Words are spiritual and they live. When someone speaks negatively about your life they are trying to cast a spell on you whether they know it or not. Stop telling hateful people your plans and surround yourself with people who will support you. Remember, destruction is always loud just as the tree falls and hits the ground. However, the seed grows with no sound. Grow silently. Steve Harvey said that if nine of your friends are broke then you’re going to be the tenth. If eight of your friends are smokers, you’re going to be the ninth. We’ve heard the saying repeatedly, “Birds of a feather, flock together” because they do. If you’re truly trying to grow your business or writing career, surround yourself with the people who are where you want to go. Don’t be intimidated by their success or jealous of it, feed off it. Mimic it. Work ethic is great but effort directed in the wrong places is counterproductive. It won’t do you any good. Chances are if someone is more successful than me it’s because they’re doing something that I’m not. That’s motivation for me to find out what it is. Silence is a beast. Listen, many of you don’t know me and I don’t say this to be mean or to say that we can’t develop a closer relationship at some point in our blogging journey’s together as we become more acquainted and of service to one another (wow, that was a long sentence lol), but it’s the truth, you don’t. If you knew me, you would know that I am not the most liked person in the world. People hate me fiercely. They annihilate me and my family on and off social media both for who I am as a person, for what I believe in, for the things that I say, and for just being me. I don’t count this as a bad thing, in fact, it’s a blessing and I pray for the people who I have loved but who have given me hate in return. In fact, I know that many of you will one day grow to hate me too and that’s OK because I know what I do this for and it’s not to please any of you. I say this because if you’re going to be successful at anything in your life you have got to learn not to respond to negativity. You’ve got to change your perspective on life itself and stop listening to people who tell you your silence represents guilt or fear. The true mark of maturity is when someone hurts you and you try to understand their situation instead of hurting them back. Silence amid the storm does not make you weak or incapable. It means that you’re meek and humble. You’re humble because you are not concerned about what you can say to lift yourself up above someone else who has torn you down. We’ve got to get to the point in our lives where we can understand that how we overcome adversity shines a light on who we really are. When you can hear something bad about me, something so unbelievable (because chances are it’s a lie) and still stand with me, that’s when I know that you know me as a person. It’s not the good times that you really get to know a person, it’s in the struggle that you find out just how real people are. If you have to jump in someone’s face or say something bad about someone because they said it about you that doesn’t mean that you’re fearless, it means that you are weak. Investing time in haters will halt your success. Point blank and period. If every time you bring something to someone they have something negative to say about it, that’s a red flag. They don’t have to agree with you but real friends will at least give you some insight into what you’re doing. They don’t just disagree but they give you something you can take back with you. You have to get to the point of understanding that everyone can’t go where you’re going. I know this sounds cliche but you’d be surprised how many people compromise their personal integrity once they think they’ve reached a level of success. Even in the blog world some of you start changing up your ways to please new followers. The truth is that things will constantly change but you have to stay true to who you are because who you are becomes your brand. When Oprah started out she didn’t know what a brand was, and even though she’s a named brand today it wasn’t because she intentionally set out to be that, she just did what felt right to her. In fact, when she started The Oprah Winfrey Show everyone (except one person) said that she would fail. The point is that you are only successful being yourself. I hear people time and time again talk about how authors should be more personal on social media. That we should talk about more than books but more so of other things that we like and that’s cool if that’s you. The reason I’m not as personal on Twitter, for instance (since I’m on there the most) is because I’ve never been that way on social media. Even when I was on Facebook I didn’t talk about walking the dog today or my favorite color. I keep telling ya’ll that I’m a private and laid back person so social media for me is just business and that’s how I use it. This isn’t to say that it’s wrong to get more personal online but that’s just not me is the point. It don’t matter how many times people say it that’s not going to change my social media habits because it’s just not who I am. The same with this blog. I’m not changing the name of my blog, not even to my name. Is that a good strategy? It’s a great author branding strategy. Is it me? Nope. I have this one blog post that I did not expect to do well (8 Ways to go from Author to Authorpreneur). I wasn’t trying to be someone giving advice, I was just sharing (as I always am) what I do and how it may can help you. Everything in that post is something that I did, that I literally put into practice myself and I wanted to share it with you. In short, I was just being me and it turned out to be one of my greatest PBS Blog posts (far as engagement is concerned). In all things, to yourself be true. That’s what people are attracted to. You don’t have to change up because your subscriber number is growing or because the social media guru tells you to do this instead of that. Only do it if that’s what you would do anyway. Only do it if that’s already in line with who you are. Yecheilyah Ysrayl is the YA, Historical Fiction author of The Stella Trilogy. She is currently working on her next book series “The Nora White Story” about a young black woman writer who dreams of taking part in The Harlem Renaissance movement and her parents struggle to accept their traumatic past in the Jim Crow south. “Renaissance: The Nora White Story (Book One)” is due for release July 15-16, 2017. For updates on this project, be sure to follow this blog and to subscribe to Yecheilyah’s email list HERE. 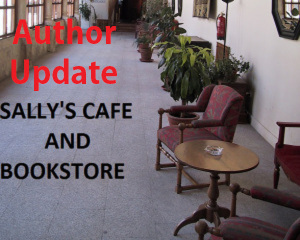 Welcome to the first of the bookstore author updates this week. To start us off is my own review of Glimpses, the short story collection by Hugh W. Roberts. Glimpses has been sat on my desk since before Christmas and I have been dipping in and out in the last couple of weeks enjoying the 28 stories. Some I have read before on Hugh’s blog but nevertheless there is always something new to discover in each of the tales. After publishing some of his short stories on his blog, Hugh W. Roberts, who suffers from dyslexia, received numerous requests to publish his short stories in a book. Here, at last, are 28 short stories that will take your mind on a rollercoaster of a ride into worlds that conceal unexpected twists and turns. Update: How Did You Do? So, how was No Whining Wednesday? You can be honest. I will. Before I do, for those new to NWW, see last weeks post HERE to understand what it is, what it’s about and how to participate. Tomorrow is our second week of the newest feature to The PBS Blog and I’m going to try to do better because I was a mess last week. I failed miserably. AND, I didn’t even have any quarters. You know what, I don’t even want to talk about it. I woke up that morning to a situation that brought me to tears. Not just tears but TEARS. I was balling. Here I was balled up on the floor praying away the anguish on the first day, but that’s not all. Eventually, I decided to be a big girl about it and clean myself up because I remembered that it was No Whining Wednesday and I wasn’t supposed to be whining, let alone crying. I decided I would make pancakes before I got to work. Usually I’d just grab a cup of coffee or maybe some fruit so I was treating myself. So I thought. My sister-in-law, awakened by the noises coming from the kitchen, walks in. After giving the pan (the butter and the oil) a piece of my mind I remembered this was No Whining Wednesday (something I started) and that I was definitely not winning. At the end of it all the pans started to behave themselves and my pancakes and turkey bacon came out lovely. The rest of the day smoothed itself out and all of my locs are still here. By the end of the day Wednesday all was well. I think I even had enough time left in the day to watch a chick flick (which turned out to be whack but I didn’t complain. I’d already done enough of that.) As I think back on it now it didn’t turn out so bad (maybe I just needed to write it out?) but I definitely had a rocky start. So, how about you? I know you did better than me.